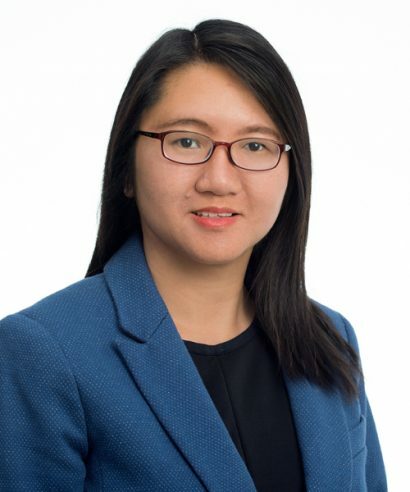 As controller, Zhongfang “Fang” Zheng plays a critical role in improving and maintaining the efficiency and effectiveness of StriveTogether’s accounting, finance and grants administration. Before joining StriveTogether, Fang was the audit manager of a Cincinnati-based public accounting firm, Richardson & Associates, where she managed audit and consulting projects primarily for nonprofit and government clients. Her expertise areas include nonprofit accounting, grant management and compliance, internal controls, financial analysis and Forms 990. A volunteer and judge for the NAACP ACT-SO program, Fang is passionate about encouraging and supporting high academic and cultural achievement among disadvantaged high school students. She grew up in a family with generations of teachers, including her late mother, who taught Chinese in an elementary school for 30 years, and her sister, who teaches English in the same school in Fang’s hometown of Nanyue in Hunan Province, China. Zhongfang holds a bachelor’s of engineering in computer science from Nanjing University of Information Science and Technology, a master’s of information science from Shanghai University, and a master’s of accountancy from Bowling Green State University. She has been a Certified Public Accountant since March 2012. A teacher, because my mom was a great teacher who taught me Chinese for six years. Math, which made me analytical. Being the editor for the high school’s radio station, which was the first time I was responsible for something important. The value of teamwork. Two brains are always better than one brain. I played basketball in college. I am a good player to this day.